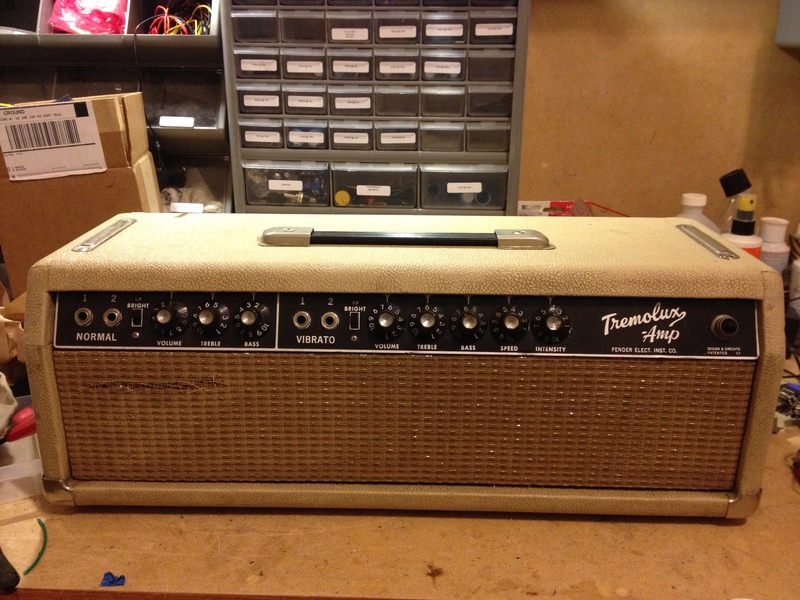 Fender 1963 Tremolux Amp – This is a beautiful example of early, Pre-CBS, ’63 Leo Fender era amplification. 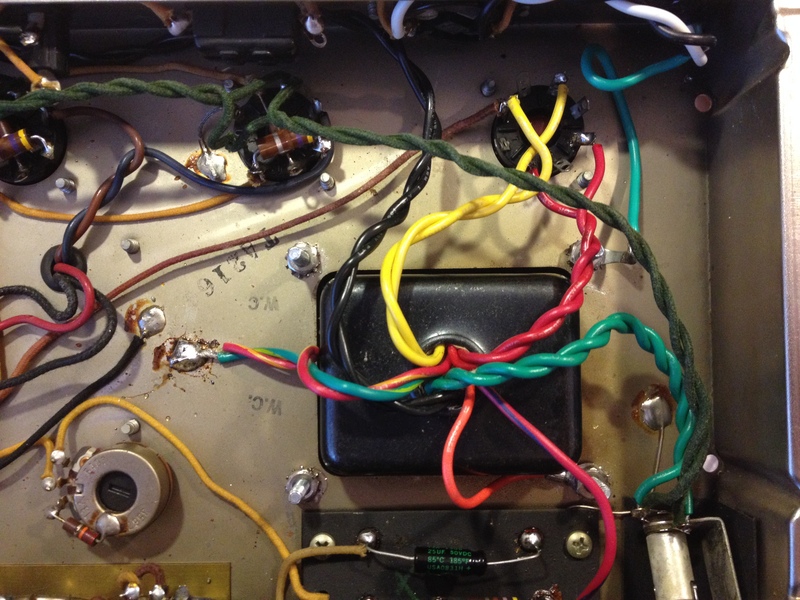 3-prong grounded power cord & grounding capacitor (“death cap”) removal. 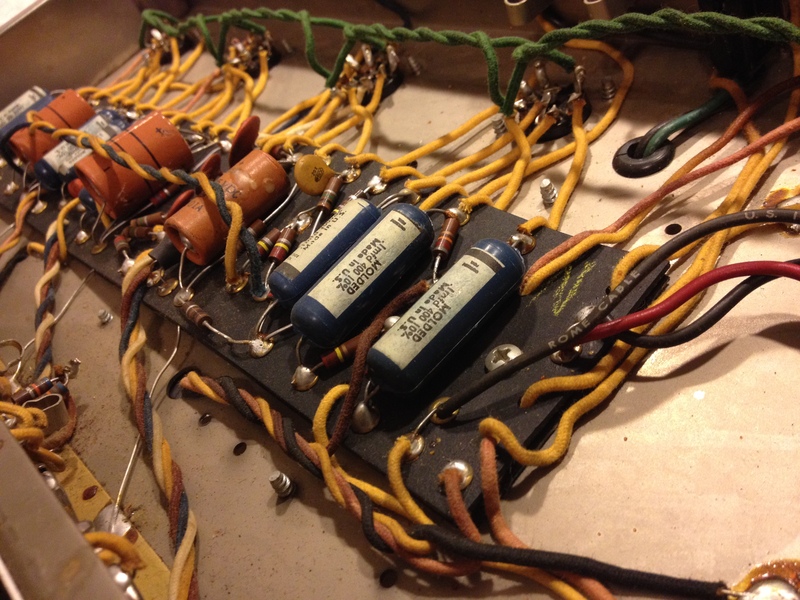 Replaced tubes with NOS, USA original era RCA tubes. 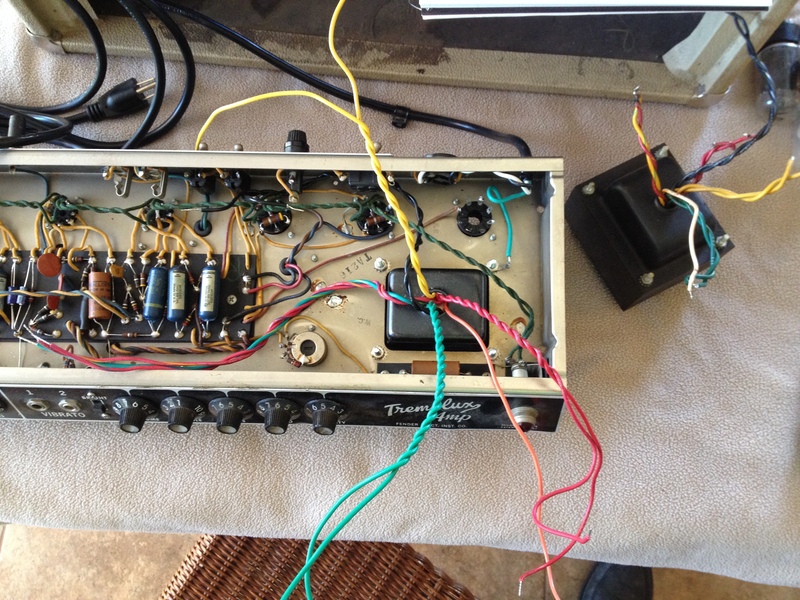 Adjusted the bias for optimal operation of power tubes for tone and life.